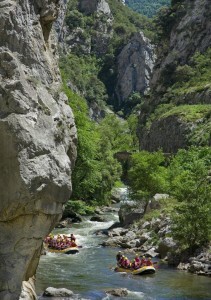 Rafting and canyoning base in Axat Aude, camping Le Moulin du Pont d’Aliès, France. 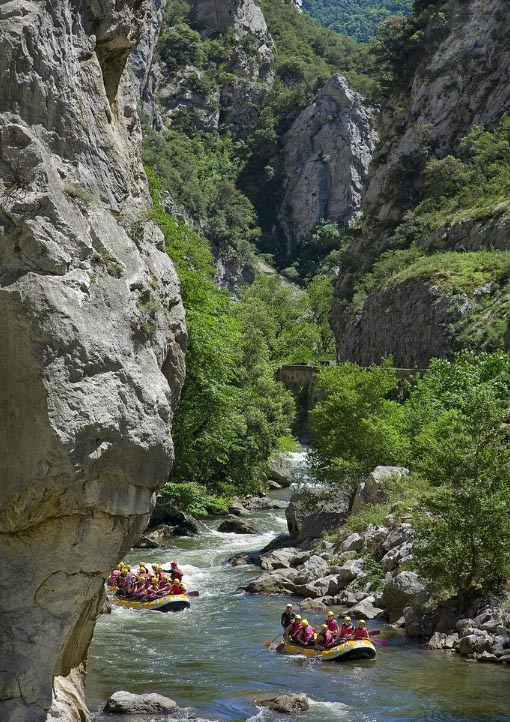 A Axat you are on one of the best rafting spots in Pyrenees. By booking your camping along the river, Le Moulin du Pont of Alíes you enjoy the basic whitewater on site at the foot of your pitch or mobile home. The base offering rafting, canyoning and hydrospeed, is driven by our premier partner Pyrene Rafting, passionate and experienced instructors in addition to their sense of humor … splashing! The following videos will show you the rafting adventure! Here is a small panel of activities proposed by Pyrene Rafting in this video . Watch until the end! Here’s a little funny video burnt heads that ” Dessert ” was quickly cooled ! Your vacation: What equipment for rafting and white water sports? It’s simple: we provide all the equipment. Plan your swimsuit and a towel. To practice the activities of living waters, you must be able to swim 50 meters. After … to get better expérience, go to Canada … Look at this! See you soon at campsite le Moulin du Pont d’Aliès ! 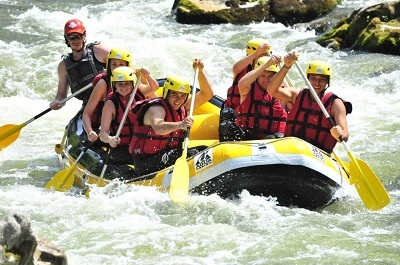 Tags : rafting aude France, rafting aude axat, rafting in aude, rodéo rafting aude, rafting in the aude. Wonderful goods from you, man. I have bear in mind your stuff previous to and you are just extremely excellent. I really like what you’ve bought here, really like what you’re stating and the best way in which you are saying it. You are making it entertaining and you continue to care for to stay it smart. I can’t wait to learn far more from you. That is actually a tremendous website.